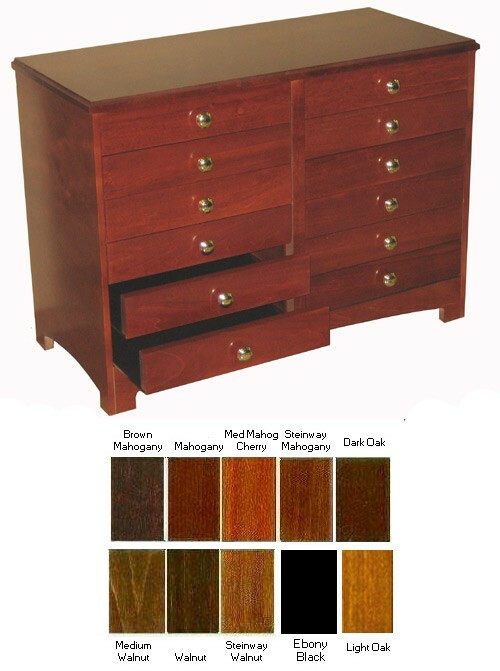 12 Drawer Sheet Music Cabinet - Free Shipping is rated 4.00 out of 5 based on 1 ratings. Beautiful Sheet Music Cabinets are made in the USA. features brass plated handles on 12 side-less drawers that are specially designed to allow easy access to your sheet music. FEATURES Available in 3 standard colors and 8 custom colors. 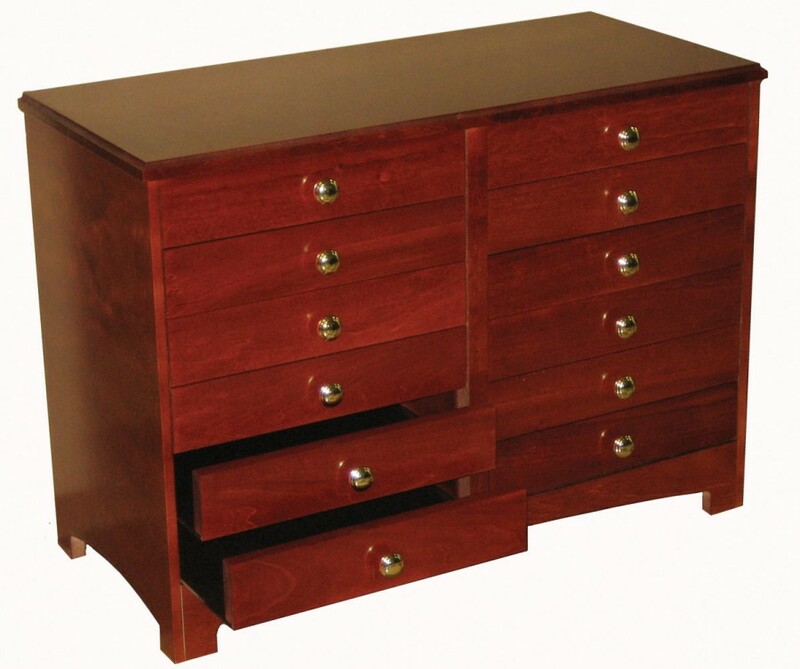 Interior dimensions of drawers are 14.75" x 11.75" x 1.50"